Professional ID card design software generates compounds copies of identity cards on single paper at a time. ID card maker software generates identity cards for student identification cards, employee ID, faculty identity cards, personal identification cards and many more in minimal time with the help of all major versions of Windows Operating System like Windows server 2003, Windows 7, Windows Vista, Windows server 2008, Windows XP. Skilled ID card maker software design and print identity cards by using advanced and adjustable color and print setting in customize way. ID card maker software is effortless to execute the program. Affordable ID card design software generates identity cards in various size and shape including ellipse, rectangle and many more. Professional ID card design software provides an opportunity to create new brand identity cards and editing in existing identity cards. Affordable and smart ID card maker software is fully capable to generate, printable, scan able and customized business identity cards by using image creating tools including pencil, rectangle, star, text, arc, barcode, triangle, ellipse, and many more in accurate way with few clicks of mouse in minimal time. ID card maker software provides attractive solution to generate nice looking identity cards with advanced background setting as per business requirements. * Proficient ID card maker software is simple to manage therefore it does not require any skilled and technical knowledge. 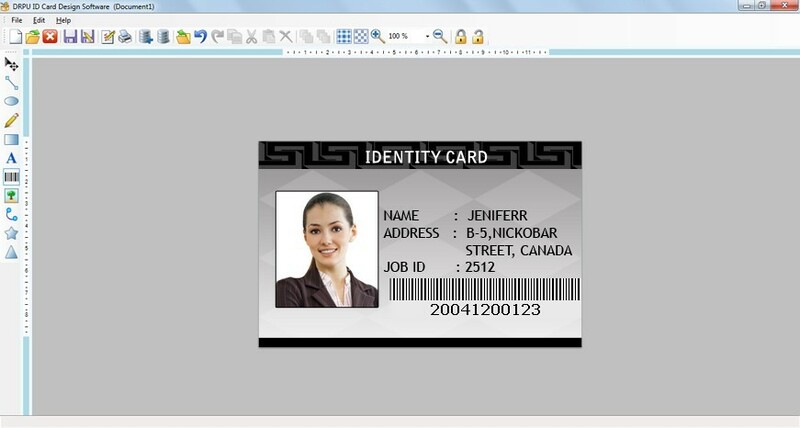 * ID card maker software provides option to save your favorite identity cards in PC for future re-correction. Tanida Demo Builder - Demo Builderâ€™s screen recording software creates professional and interactive presentations, tutorials and demonstrations. Export movies in HTML5, H264, Flash, Standalone, Video, Image Files and Word formats and Share via YouTube and Google Drive. ClickCharts Flowchart Software Free - ClickCharts Free Flowchart and diagram software lets you lay out your ideas, organization, process or create UML diagrams. Create data flow or value stream diagrams and find process optimization by identifying bottlenecks. Export to jpg, gif, png. ClickCharts FlowCharts Free for Mac - ClickCharts Free Flowchart for Mac lets you lay out your ideas, organization, process or create UML diagrams. Create data flow or value stream diagrams and find process optimization by identifying bottlenecks. Export to jpg, gif, png. Edraw Flowchart - Edraw is a new flowchart software, which creates flowcharts and business charts with minimum time loss for you. Support basic flowcharts, organizational charts, business charts, hr diagram, work flowchart, programming flowchart and network diagrams. Aiseesoft Free PDF Viewer - Aiseesoft Studio presents you a free pdf viewer software- Aiseesoft Free PDF Viewer, which allows you to view pdf documents on windows operating systems.